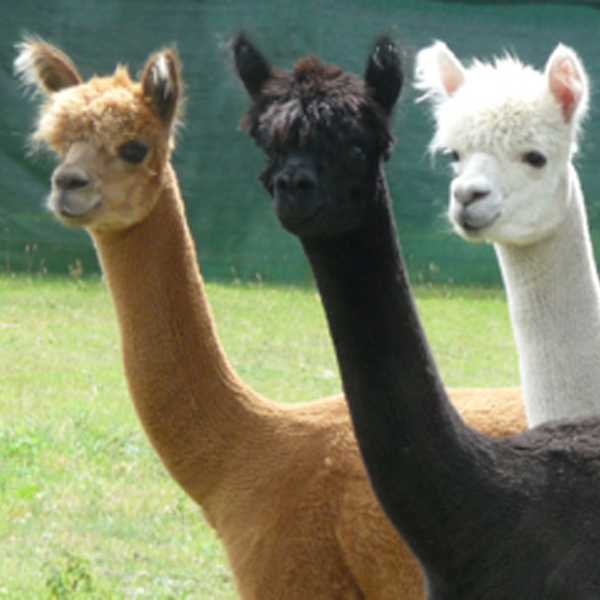 It is the gentle beauty of our three alpacas and the glorious softness of their fleece that is the foundation of my work. 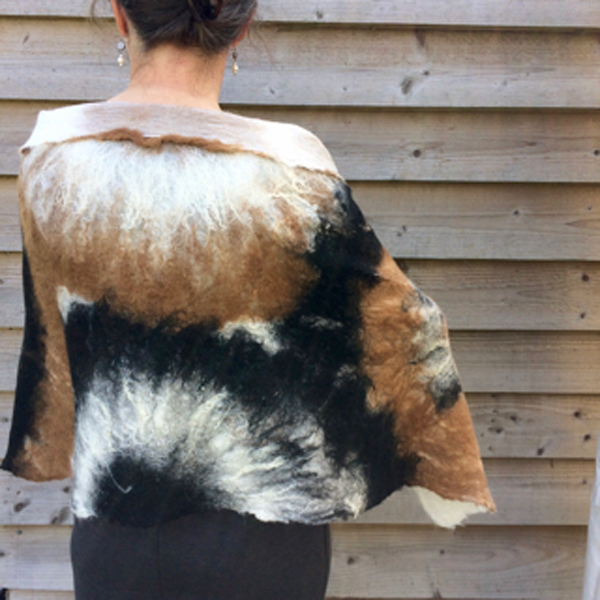 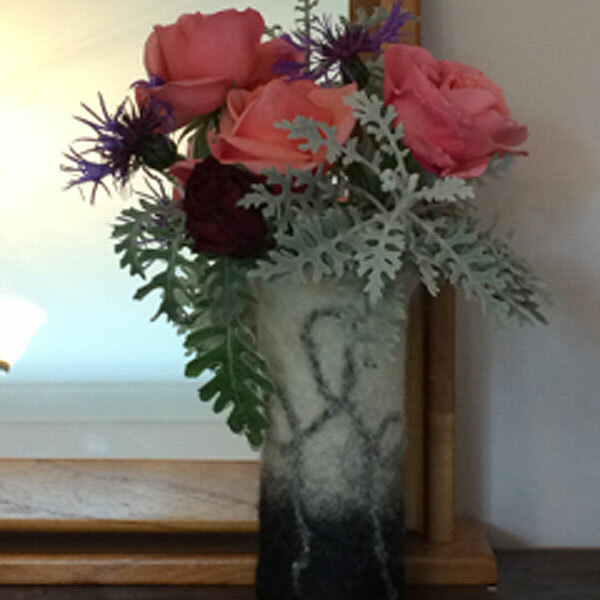 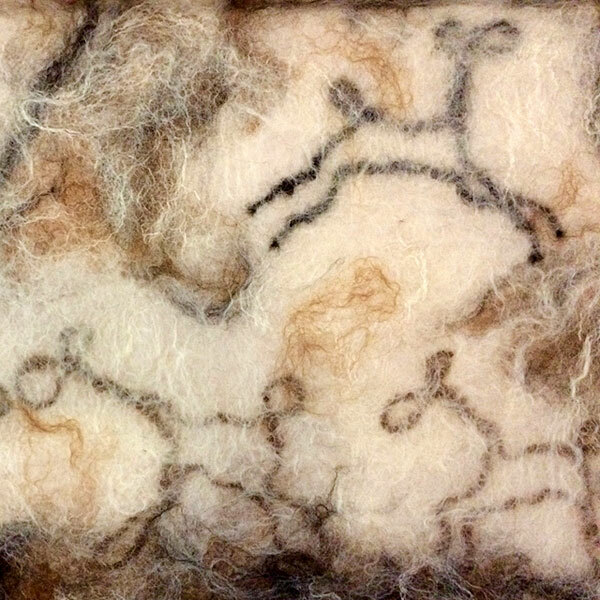 In a world that is obsessed with speed, throwaway plastics and technology, my art is slow and sustainable, using the natural colours of the alpacas and spinning, weaving and felting by hand. 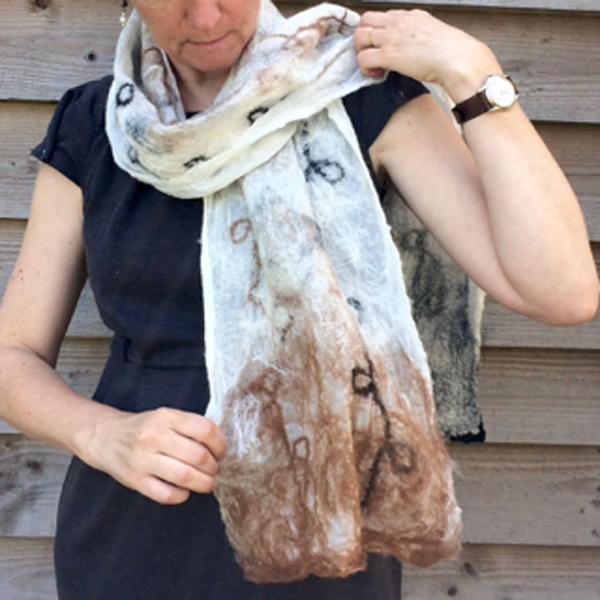 Using this fine, silky fleece produces objects that ask to be picked up, held and experienced with the senses: beautiful, tactile felted bowls and vases; the cosiest of cushions, all handspun and handwoven around cardboard and stuffed with soft alpaca fleece; luxurious nuno-felted scarves and wraps – each a unique piece of wearable art. 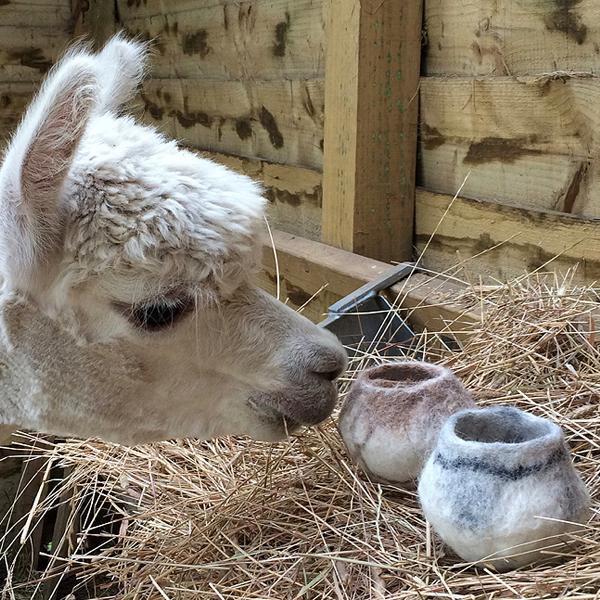 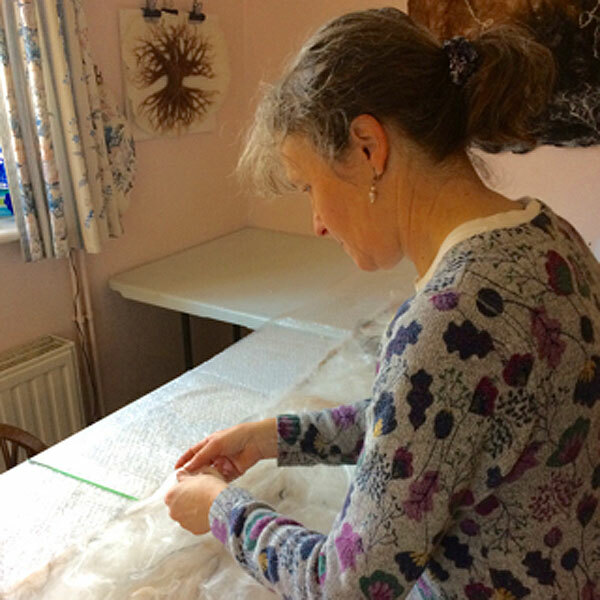 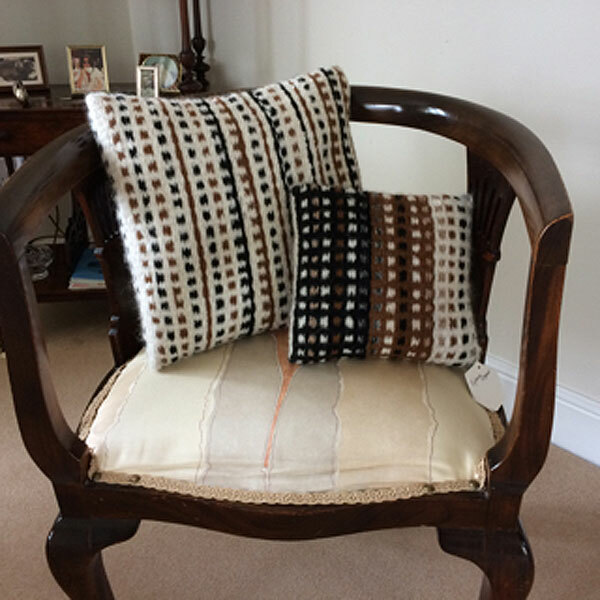 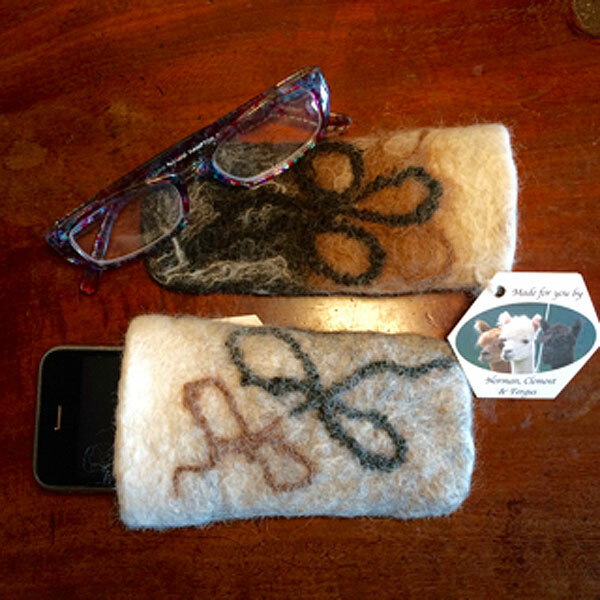 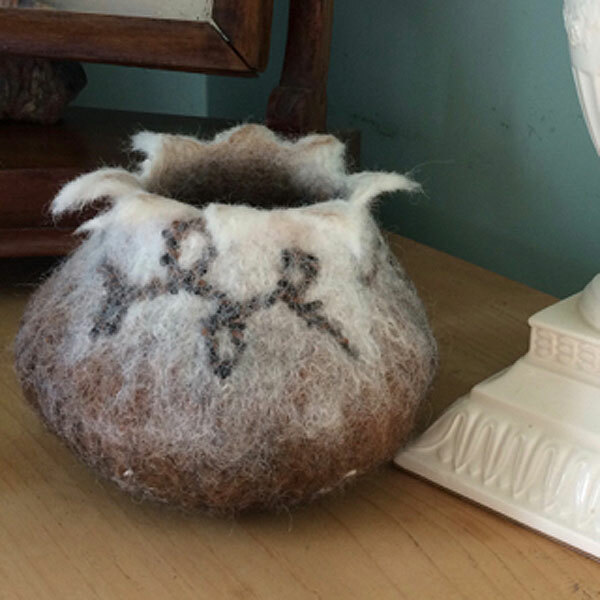 I am in the privileged position of being able to share the alpaca experience by running textile workshops from my home, allowing others the opportunity to meet Clement, Norman and Fergus and then create something wonderful out of their fleece.